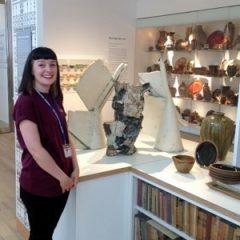 York Museums Trust have been given Subject Specialist Networks Project Funding to support and strengthen their Contemporary Studio Ceramics Subject Specialist Network. 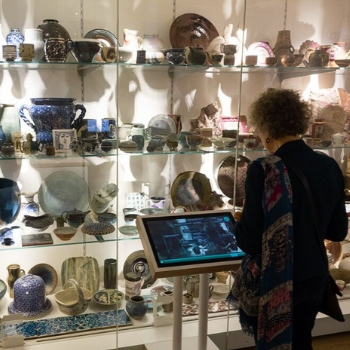 The £78,025 funding will enable the Ceramics Subject Specialist Network (SSN) to carry out new activity that will benefit curators of public collections in growing knowledge and skills. The SSN was established in 2012 as part of the development of the Centre of Ceramic Art (CoCA) which is home the country’s most significant collection of British Studio Ceramics. Helen Walsh, curator of ceramics, said: “We are thrilled to have been awarded this funding from Arts Council England, which will support and strengthen the Contemporary Studio Ceramics SSN. 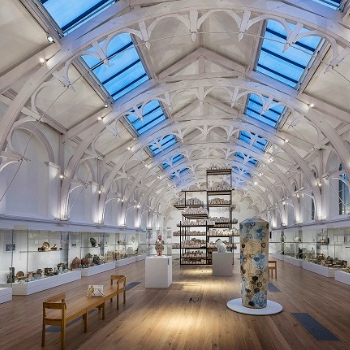 “CoCA has positioned York Art Gallery as a leading organisation in advocating contemporary studio ceramics. The grant enables the SSN to carry out new activity that will benefit curators of public collections in the UK allowing them to grow their knowledge and skills. 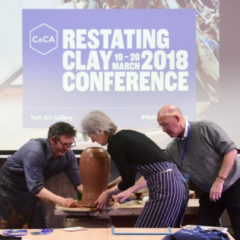 It will also create new and exciting opportunities for dialogue between specialists and interested parties of all backgrounds, collection sharing, the development of Best Practice guidance, new world class research, strong innovative curation and outcomes benefiting the public and raising the profile of contemporary studio ceramics. “Having already seen the benefits from the Arts Council’s Museums Resilience Fund, which saw York host Restating Clay, a major sell-out two-day international ceramics conference in March 2018, we look forward to developing more events in York and across the UK, along with investing in further research and in touring ceramics collections internationally. “York Museums Trust has an outstanding reputation as an international centre of expertise with regards to 20th century studio ceramics. The recent refurbishment of York Art Gallery has enabled York Museums Trust to show off their exceptional ceramics collection in new and exciting ways. I’m delighted that they have now also been awarded Specialist Subject Network funding so that they can bring together institutions to share knowledge and expertise of ceramics collections management which will ultimately enhance the public’s experience of the wonderful collections we have in England. Arts Council England is the national development body for arts and culture across England, working to enrich people’s lives. We support a range of activities across the arts, museums and libraries – from theatre to visual art, reading to dance, music to literature, and crafts to collections. Great art and culture inspires us, brings us together and teaches us about ourselves and the world around us. In short, it makes life better. Between 2018 and 2022, we will invest £1.45 billion of public money from government and an estimated £860 million from the National Lottery to help create these experiences for as many people as possible across the country.